Enjoy Lazio’s most beautiful sea and the amazing nature of Southern Etruria. Santa Marinella is also known as The pearl of the Tyrrhenian sea for its beautiful beaches and cliffs, its historical archaeological and naturalistic sites and its typical city centre looking on the sea. This exclusive holiday destination for people living in Rome, gives tourists the chance to enjoy beaches, outdoor sports and amusements as well as some quiet and relaxing moments. Santa Marinella is the most convenient summer location you can reach by train from Rome: its historical train station is only 35 minutes from San Pietro and just a stone’s throw from the beach. On the same railway Civitavecchia is just one stop away. The thermal baths of Saturnia in just an hour. 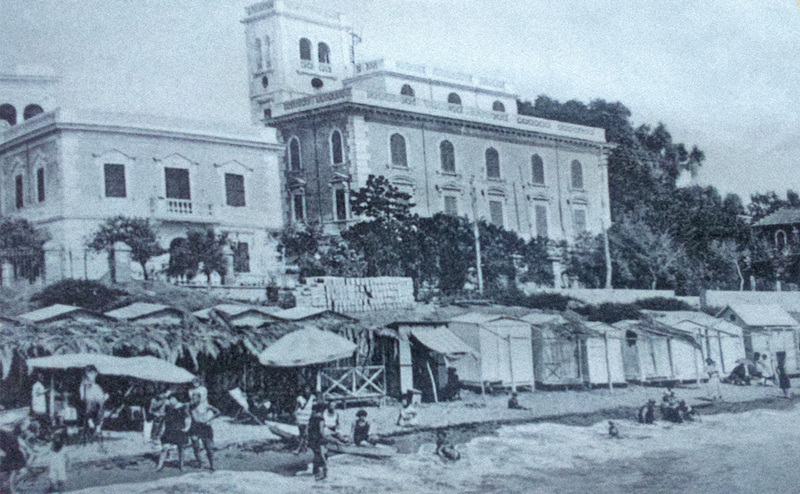 The town of Santa Marinella was established along the historical railway line by the will of prince Baldassarre Odescalchi who bought at auction in 1887 the “Santa Marinella estate”, property of the religious institution “Pio Istituto di Santo Spirito in Sassia”. The architect Ojetti was entrusted to parcel out the estate, and the lots were bought by members of the Roman aristocracy in order to build the beautiful Liberty style mansion that we can still admire walking through the city centre.